The Department of Homeland Security has asked the Pentagon to keep active-duty forces on the U.S.-Mexico border through Jan. 31, defense officials familiar with the request confirmed to Military Times. The total request is for about 4,000 forces, filling the same roles as had been previously sought: aviation support, military police, logistics and medics, two defense officials said on the condition they not be named. Defense Secretary Jim Mattis said last week that as the requests from DHS evolve, some troops could be extended, and some other units may be rotated in. But for many soldiers now on the border, the extension means they may spend both Thanksgiving and Christmas away deployed — but still within the U.S.
DHS did not ask for any new capabilities in the new request for assistance, the officials said. 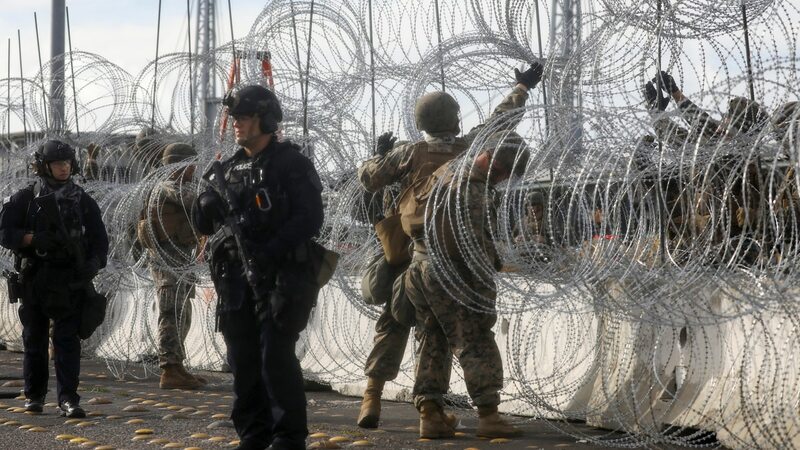 The military says about 300 troops who had been deployed in south Texas and Arizona as part of a border security mission have been moved to California for similar work. One official said the 4,000 figure was about “right-sizing” the mission and it was likely the forces would focus on needs in California, where a surge of migrants has gathered at the Tijuana checkpoint. DoD said that 2,400 troops are currently deployed in Texas, 1,800 are in California and 1,400 are in Arizona.